The story of the thief who robbed from the rich to give to the poor, aka Robin Hood, has been around for centuries, literally. In film form, Errol Flynn and Olivia de Havilland continued the legend in 1938, and since that date, there have been a myriad number of pastiches keeping the legend alive for kids and adults alike. 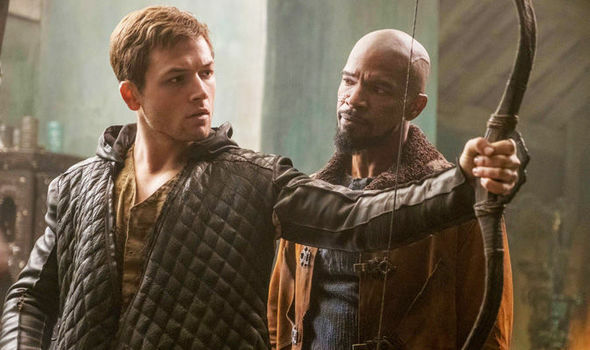 Even Ridley Scott jumped on the bandwagon with his version starring Russell Crowe as Robin Hood, but alas, this was not the last, as co-writers Ben Chandler and David James Kelly give director Otto Bathurst a chance to recreate the origins of the tale, starring Taron Egerton (“Kingsman: The Secret Service”) and Jamie Foxx (“Baby Driver”).